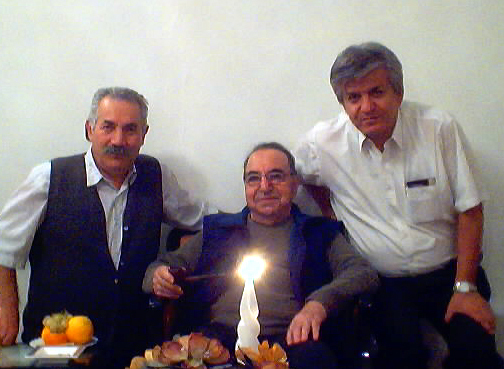 We met as members of Aryamehr University's Mountain Club back in 1972, and have been friends since. He graduated as a mechanical engineer and is now the successful CEO of a coil spring manufacturing company, Fanar Lool. 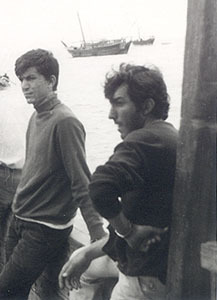 This picture was taken on a motor-boat (lench, as it is called locally) going from Bandar Abbas to the Qeshm island. At the birthday party Reza gave for my father, 21 Dec. 2003. 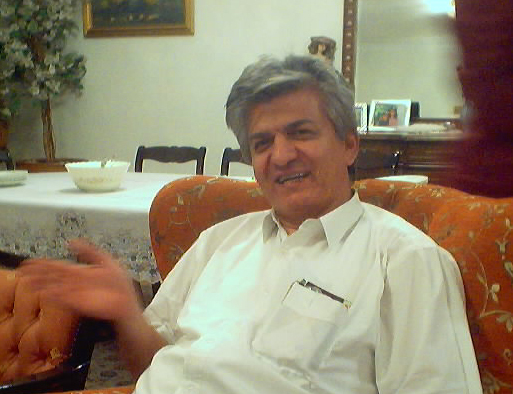 In the recent years Reza has been especially kind and generous to me and my family by taking care of my father while I was away in the US.